C&IT's IT and Telecoms Event of the Year award was won by drp for its EE conference, which included eight live events over a two week period. As IT becomes an ever more dominant market, companies are stepping up their game when it comes to events. This year, the award for IT and Telecoms Event of the Year goes to EE and drp for a spectacular conference, which included eight live events over a two week period. After 40 days of production, in April 2016 more than 5,000 EE colleagues from all levels celebrated their achievements over the past three years, with a renewed plan for the future and an ambition to be the best. 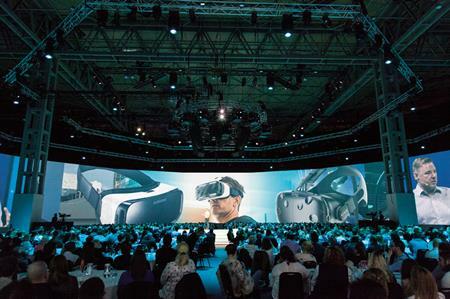 The events incorporated a 360 degree fully immersive plenary theatre with an interactive experiential zone, which was supported with the development of a new communications campaign, creative content development and production, delegate management and a dedicated event app. The success of the event has led to the strategic plan being adopted across the entire organisation, leading to the creation of a longer-term communications campaign and ensuring the company is better able to achieve its ambitions.